B.O.O.B.S. 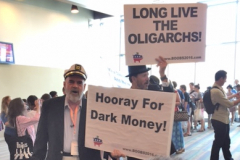 take over Netroots event with Bernie Sanders in Phoenix, AZ. 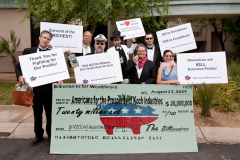 Out-of-State Dark Money Billionaires showed up to celebrate with their newly bought Arizona Governor at his inauguration. 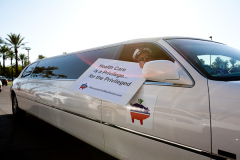 Billionaires show up at Senator John McCain's (R-AZ) town hall on healthcare reform. 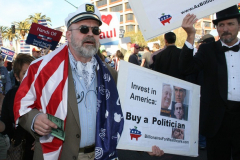 Billionaires join the tea party outside Harry Mitchell's Scottsdale Office. They give local American's for Prosperity organizer, Tom Jenney, a check to show our appreciation of the great work he's doing. Video available on the blog.